As my husband and the girls are getting ready to head to my parents' house this week and celebrate Thanksmas with the Johnson side of our family, I have been thinking about our traditions. Thanksmas is a holiday our family created several years ago out of the reality that, as a two pastor household, our schedule was chocked full of church related activities and responsibilities. The reality was that we were always rushing to "fit in" family time and found ourselves not being fully present to enjoy being with family. 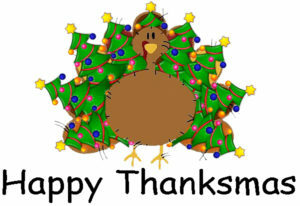 Thus our extended family created Thanksmas, a combined Thanksgiving and Christmas celebration in one weekend. For our Thanksgiving Day portion of the celebration there are several traditions that are probably pretty much the same as those you and your families have. 1) Regardless of those creative efforts to change up the menu...we still have to have turkey-no Cornish hens, no tuducken and no tofu turkey (even though many in the family are vegetarians). 2) At some point in the course of the meal, we go around the table and share for what we are thankful. 3) Calories and diets are null and void on Thanksgiving day. 4) Before the meal someone in the family offers a devotion, brief words and a prayer of blessing. 5) At some point the true football fans sneak into the other room to catch the game. 1) During the middle of the meal, turn to the person who prepared the turkey and say, "See mom, I told you they wouldn't notice that the turkey was four months past its expiration date. You were worried for nothing." 2) When everyone goes around to say what they are thankful for, simply say, "I'm thankful I didn't get caught" and refuse to say anymore. 3) Load up your plate, then take it into the kitchen, toss it all in the blender, and take your "shake" back to the table. Announce it is the new "Thanksgiving Weight Loss Shake." 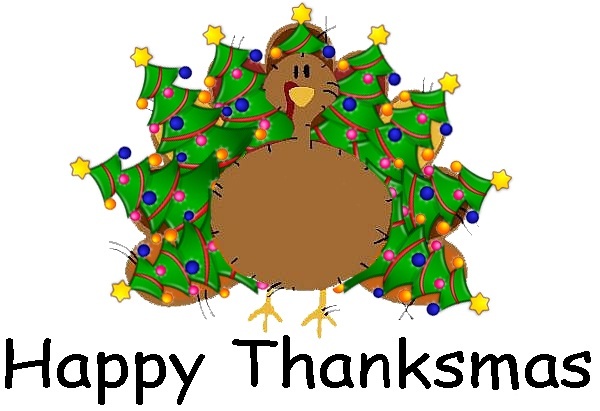 4) Prepare an hour-long speech to give when asked about your thankfulness. If necessary, insist that no one can leave the table or eat until you have finished your speech. 5) Bring along old recorded football games and put them on while no one is watching. Make sure it is set to the last two minutes of the game when the true football fans come into the room...after you noticing them intently watching...turn it off and put on another show. Regardless of your traditions with family or friends, the purpose and goal of thanksgiving is the same for all of us. It is an opportunity for us to pause amidst the busyness of life and purposefully raise our glasses, our eyes, and our consciousness to heaven-in order to give God thanks. This year, I especially give God thanks for the incredible honor of being in ministry with all of you in the Illinois South Conference. I have borne witness to the unshakable faith, the unswerving dedication, the resilience, the creativity, the tremendous God given gifts and talents, the beauty, the joy, the determination, the extravagant hospitality, the steadfast commitment to the mission and ministry of Jesus Christ, and above all the amazing people both individually and collectively in our churches. You are God's masterpieces of tangible love, grace and peace in the world. Thank you for being such a blessing to me and to all those you seek to serve. May you all have a rich and blessed Thanksgiving season. ← Will You Be Able to Live with Yourself?